This DVR series has all the basic functions you needed, such as dual video output, external alarm devices connection, motion detection, and remote independent operation. This DVR series also features mobile surveillance on five popular mobile platforms, i.e. iOS, BlackBerry, Android, Windows Mobile and Symbian. And as long as our free mobile app, EagleEyes, is installed and your DVR is connected to Internet, you'll be able to keey an eye on the thing or area important for you at anytime, from anywhere. AVC791B is a 4CH H.264 DVR with all basic functions you needed, such as dual video output, external alarm devices connection, motion detection, and remote independent operation. 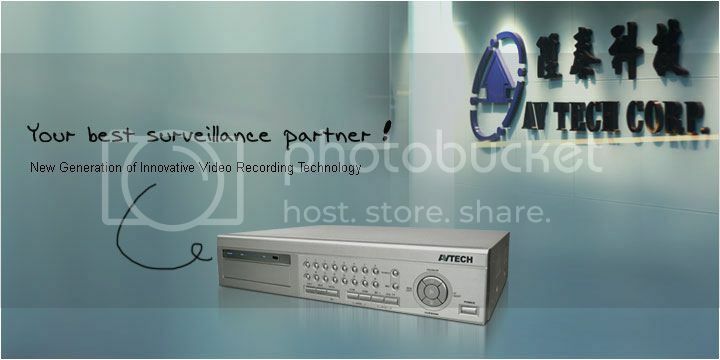 AVC792C is a 4CH Full D1 H.264 DVR with all basic functions you needed, such as dual video output, external alarm devices connection, motion detection, and remote independent operation. AVC796B is a 8CH H.264 DVR with all basic functions you needed, such as dual video output, external alarm devices connection, motion detection, and remote independent operation. AVC798B is a 16CH H.264 DVR with all basic functions you needed, such as dual video output, external alarm devices connection, motion detection, and remote independent operation.